Michigan State University, SGS S.A.
Reducing Opportunities for Unlawful Transport of Endangered Species (ROUTES) is an innovative and transformational partnership that brings together international conservation organizations, donors, government, and the transportation and logistics industry. The multi-year collaborative program aims to disrupt wildlife trafficking by reducing the use of legal transportation supply chains. To maximize results and impact, ROUTES will focus year one and two activities on air transportation supply chains to take advantage of the current high level of commitment and champions in the industry. Objective 1: Improve the data and analytics on wildlife trafficking within passenger and cargo supply chains for evidence-based, focused action. 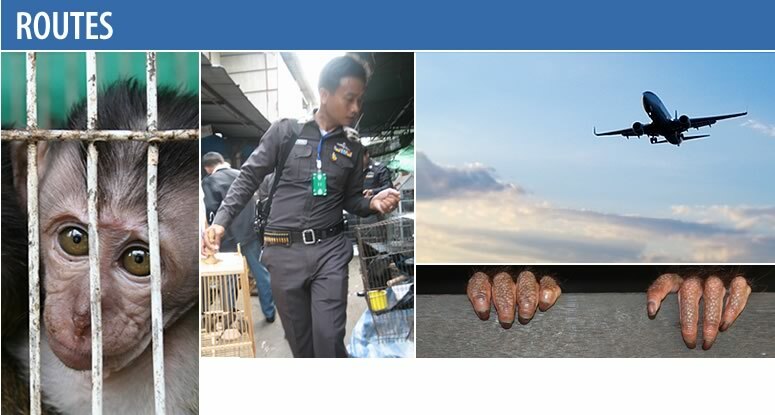 Expected Outcomes: A greater understanding of how wildlife criminals utilize legal transportation supply chains, leading to more effective, focused and targeted awareness raising, capacity building, corporate engagement and standards/ protocols based on robust data and evidence. Objective 2: Engage corporate leadership to collaborate to combat wildlife trafficking. Expected Outcomes: Corporate leadership takes action on wildlife trafficking, and employees are incentivized to change their behavior. Positive outcomes in initial focal sectors catalyze further industry engagement. Objective 3: Improve the ability of transportation personnel to assist law enforcement to combat wildlife trafficking. Expected Outcomes: Transportation personnel are empowered and incentivized to take action to assist law enforcement to combat wildlife trafficking, improving coordination and cooperation between the two sectors. Objective 4: Integrate wildlife trafficking into relevant industry standards and protocols. Expected Outcomes: Wildlife trafficking is mainstreamed as appropriate throughout existing industry standards, protocols or other due diligence procedures, which in turn guides effective transport sector responses. Objective 5: Increase passenger and client awareness of wildlife trafficking issues. Expected Outcomes: Passengers and clients know what wildlife trafficking is, why they should care, and what the consequences are. They know who to contact when they suspect that wildlife is trafficked. Those who have previously been involved in transporting illegal wildlife do not continue, and encourage others to also cease trafficking. For more information on ROUTES, contact E3/FAB's AOR Megan Hill.